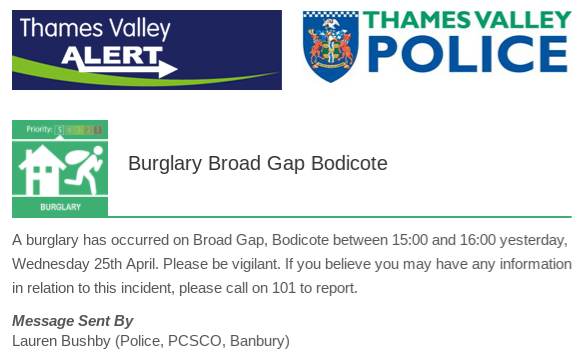 A Thames valley alert regarding a burglary in Broad Gap that occurred between 3:00-4:00pm on Wednesday 25th April. If you have any information please call the non emergency number 101. As always stay vigilant and please report any suspicious activity to 101. If you witness a crime please call 999.